My First Con Experience Ever! 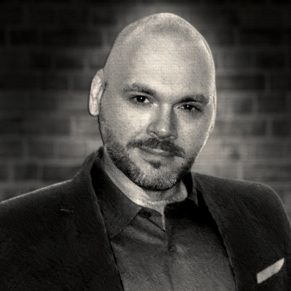 How Cincinnati made my very first trek to a legit comic book convention a great one! Working in this industry, I’ve had a chance to cover countless gaming conventions over the years. 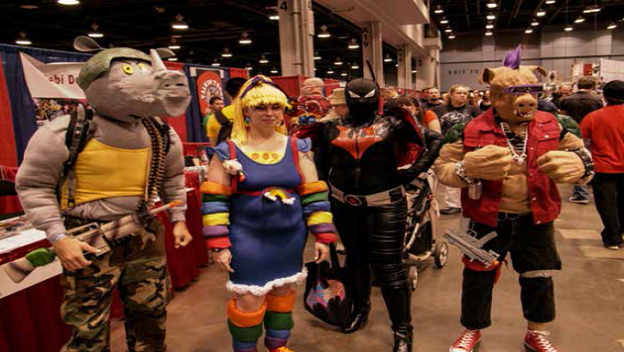 That includes the likes of Comic-Con and some of the other larger gatherings that pop-up over the course of the year. I’m sad to say that, up until this past weekend, I had admired my fellow brethren only from afar. I’d never visited a real honest-to-goodness convention, until the good folks of the Cincinnati Comic Expo invited me down to their show floor for a look around. So here is a quick glimpse of my experience at an event, which I’m proud to say took place in my very own backyard! First off, let’s talk about how I got to hob-knob with the stars! Getting a press-pass affords you certain perks; one’s that I’m extremely grateful my career has provided me (I have you readers to thank for that). As such, I was able to gain access to the panel halls ahead of the crowd, which put me front row only a few feet away from one of my childhood heroes…the freakin’ GREEN POWER RANGER! I’d seen some of Jason David Frank’s panels via YouTube, and he was as personable and funny as I’d remembered. He had no problem giving the crowd plenty of Power Ranger anecdotes, which we all lapped up like mother’s milk. Seemingly a very cool guy who truly loves the fans (and the con scene as well). Next up was The Fonz himself Mr. Henry Winkler. His panel was a combination one-man-show and Q&A. As soon as he hit the stage, he was immediately on fire. He had the crowd rollin’ with stories from his past, and even managed to turn a rude cellphone interruption by one weary audience member into a lesson in comedic timing. I got a chance to chat with him afterwards regarding his time on the Waterboy set, as well as his return to his Happy Day’s role during Ron Howard’s 2008 political ad for Barack Obama. He was also the only one standing IN FRONT of his booth during his autograph signing so he could be right out in the crowd. Aces all the way around! Finally, I got the chance to hear stories from the great John Rhys-Davies (who played both Sallah in Indiana Jones and Gimli in Lord of the Rings). I can only describe him as a man so jolly that, if Santa Claus really does exist, I think I’ve discovered his secret identity. His long-winded stories (Mr. Davies easily gets sidetracked from one moment to the next) are always charming. Even though he sometimes strays from the original question, no one seems to mind, as his answers are as colorful as they are interesting. Cincinnati managed to pack a myriad of other classic stars not mentioned above, including The Incredible Hulk’s Lou Ferrigno, Julie Newmar (Catwoman from the 1960’s TV series), the original black Power Ranger Walter Jones (who crashed Jason David Frank’s panel so they could both give the crowd an “IT’S MORPHIN’ TIME” at one point) and an impressive list of others in both the film and comic worlds too numerous to list. Not bad for an up and coming East Coast con if I do say so myself! But there was another very important reason I ventured downtown to check out the event! The unique feeling of a con was something I simply had to experience just once in my life. I can tell you the Cincinnati Comic Expo didn’t disappoint, as it was present from the moment I arrived. As I turned the corner outside the building, just as you walk up the stairs to the main entrance, I instantly felt immersed. I bumped into a Darth Vader who had momentarily removed his helmet to chug some Gatorade, squeezed past a giant dragon (yes I mean a guy in a giant dragon costume) and headed to the main floor. Once inside, a mecca of booths stretched out before me as far as the eye could see. It literally took me hours to see each and every one of them (as I made sure I left no stone unturned during my trip). Just about anything your heart desires could be found here, from comic books to toys to art work (and all points in-between). I walked away with a sweet Back to the Future “Outatime” license plate replica, a box of Secret of the Ooze trading cards from the TMNT sequel of 1991, and a collection of the first five issues in The Walking Dead series. A nice haul for my first time out (and it certainly won’t be my last). If I had to describe my experience in a word, it would likely be SHAZAM!!! Only being hit by a bolt of lightning can describe the charge I felt walking back to my car at the evening’s conclusion. I wish I had time to talk about the Expo’s cosplayers more in-depth, as they did add a whole other layer you really have to see to believe. Looking around, it’s easy to wonder who the real celebrities of the day were. I witnessed just as many pictures being taken between costumed fans as I did at the Boba Fett table. Perhaps next year I’ll finally put together that Earth 2 Batsuit I’ve been planning in my basement. 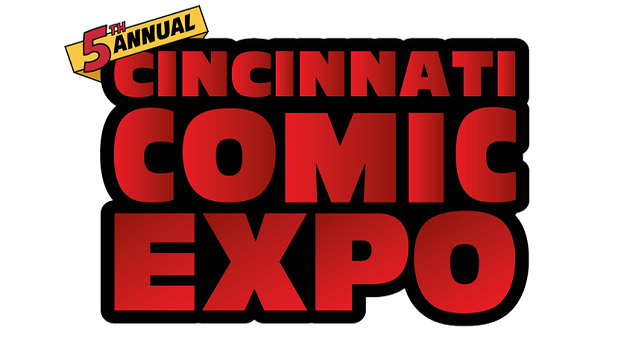 Oh and there will be a next year, as the Cincinnati Comic Expo is likely to remain a staple of the Ohio arts and entertainment scene for years to come. On a personal note, I’d like to thank Andrew Satterfield (who was the event’s director), Matt Bredestege (my go-to contact in arranging the visit) and the rest of the event staff. If you do visit the tri-state during next-year’s expo, you’d be remised not to stop by and check it out! I can guarantee you’ll be impressed with our little slice of geek heaven!